Stowe, VT – Vermont’s Stowe Mountain Resort and The Chill Foundation are launching a new partnership this winter that will bring area youth to Stowe Mountain Resort for Chill’s six-week youth development program. Each week, Chill will bring participants to the mountain to learn to ride, and also learn important life skills that they can use both on and off the mountain. Throughout the six-week program, roughly 35 students from non-traditional school programs will participate. The Chill Foundation inspires youth to overcome challenges through board sports including snowboarding, skateboarding, surfing, and stand-up paddleboarding. The program will begin today and continue each Tuesday, when a group of Chill participants between the ages of 10 and 18 will learn to ride from instructors at the mountain while practicing Chill’s six core themes of Respect, Patience, Persistence, Courage, Responsibility, and Pride. “The Chill Foundation is a great program that offers youth from across North America a unique opportunity to experience the joy of snowboarding and Stowe Mountain Resort is happy to help provide a positive experience to the program’s participants right here at our resort,” said Dave Merriam, Director of Mountain Recreation at Stowe Mountain Resort. 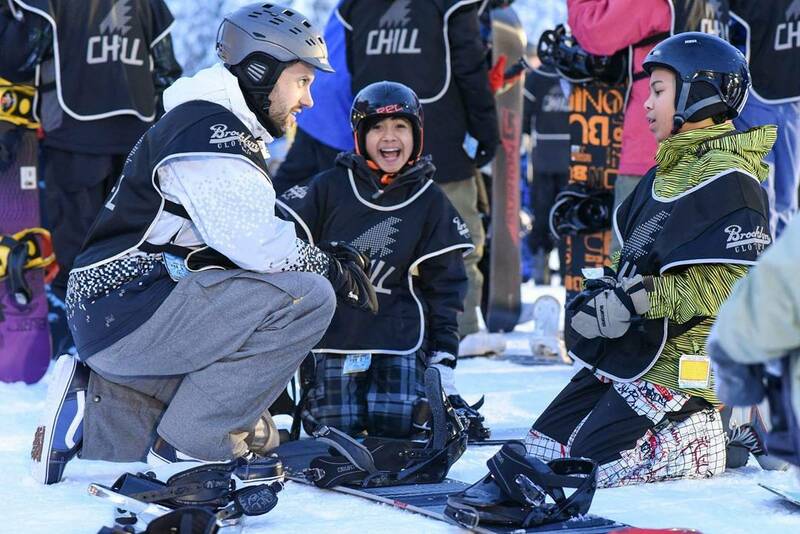 Stowe Mountain Resort is offering lift tickets and lessons to the Chill Foundation’s participants free of charge, and Chill provides transportation, outerwear and gear to every participant at no cost so that every participant is able to participate without any barriers.